Our recipe for success starts with our people. 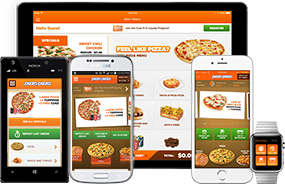 Pizza Pizza is an industry pioneer and Canada’s #1 pizza chain. If you are looking for a challenging position with a company that continues to grow and evolve as a business leader, check out the exciting opportunities currently available with Pizza Pizza Limited, or with some of our associated partners.